Uncategories Is This The New HTC One Smartphone? Is This The New HTC One Smartphone? A few pics of the follow-up to last year's HTC phone have been leaked. Photographs posted on Chinese social network Weibo show what appears to be the follow-up to last year's flagship HTC One smartphone. The photographs, now deleted, were reposted by French tech and entertainment site Nowhere Else - hit up the link to view the rest of the leaked images. While the photo quality isn't the greatest in the world, they do show what appear to be many changes to the new device (code-named HTC M8) from last year's HTC One, including dual cameras and on-screen navigation buttons that replace the previous model's physical buttons. This new phone may arrive as early as next month. According to rumours, it will include a screen at least 5 inches in size and a new Qualcomm Snapdragon processor. HTC is expected to officially reveal its newest products at the Mobile World Congress later this month. This may include some sort of wearable tech device. 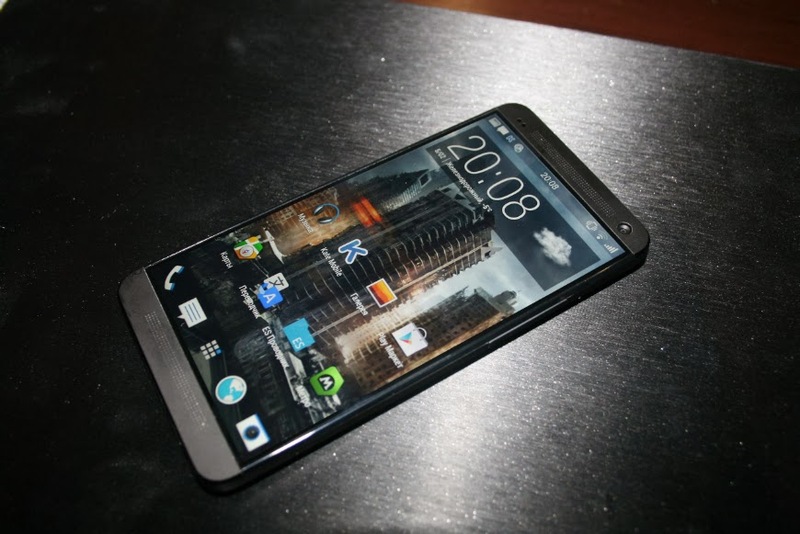 Last year, our review concluded that the HTC One smartphone was pretty amazing. Will the HTC M8, with its visible hardware upgrades, follow suit?